Nintendo Thinks Rival Consoles and the AAA Market Are "Boring"
Nintendo's one-and-only Shigeru Miyamoto has some harsh words for its rivals over at Sony and Microsoft and all of the third-party developers who flocked to support them. You're boring! 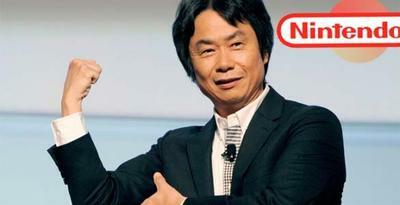 In an interview with The Telegraph, Miyamoto doesn't exactly mince his choice of words. "What the other companies are doing makes business sense. But it's boring." Miyamoto explains further saying the AAA model cripples creativity, unlike at Nintendo, where the company wants "an environment where game creators can collaborate and think of ideas for games that could have never happened before." He closes out his interview by calling the recent gravitation towards Hollywood as inspiration as "troubling." Miyamoto firmly believes that games should be just games, hinting he would rather inspire people to make their own than waste their storytelling capabilities on games that will do it for them. "When you play a game, one moment you're just controlling it and then suddenly you feel you're in its world. And that as something you cannot experience through film or literature. It's a completely unique experience. These younger game creators, they want to be recognized. They want to tell stories that will touch people's hearts. And while I understand that desire, the trend worries me. It should be the experience, that is touching. What I strive for is to make the person playing the game the director. All I do is help them feel that, by playing, they're creating something that only they could create." A man after my own heart, that Miyamoto. I'd go further on a long rant about how he is right on most of his points, but I already did that yesterday. The AAA market is boring, and it severely lags behind Nintendo in every single creative sense, except for maybe copying Hollywood, but really, Nintendo fans couldn't care less. I won't pretend that Nintendo has all the answers, nor should all games be just like Nintendo's. We wouldn't be anywhere without a healthy option of shooters, RPGs, strategy games and other genres Nintendo doesn't deal with. However, he is correct in saying that the game should always come first and the narrative and graphics should always be second. I will disagree with him on a few parts, because I believe creating and telling your own story within a gaming world can be a great thing. Bethesda and BioWare do it time and time again with marvelous results, but they also make games where visuals only back up the strong mechanics, never the other way around. They also reinforce the fact that you are indeed, just playing a game. Even Mass Effect, for all its cinematic effects and inspirations, never falters from this methodology. Not all of our franchises, and even some of our biggest hits, are capable of doing that, being a "cinematic experience" first and "game" second. That's what I find boring. Be sure to check out the entire interview. He is an endlessly fascinating person and finds himself more influential than ever heading into an age of gaming where business trumps creativity.